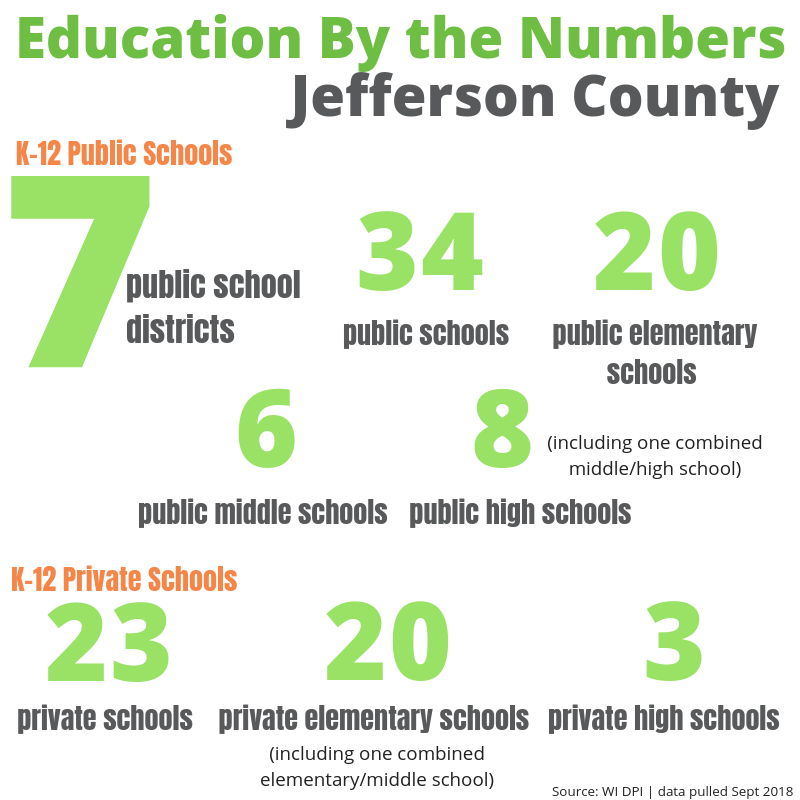 Jefferson and Dodge counties have an abundance of educational opportunities for students of all ages, including 15 public K-12 school districts, 37 private K-12 schools and multiple post-secondary options. 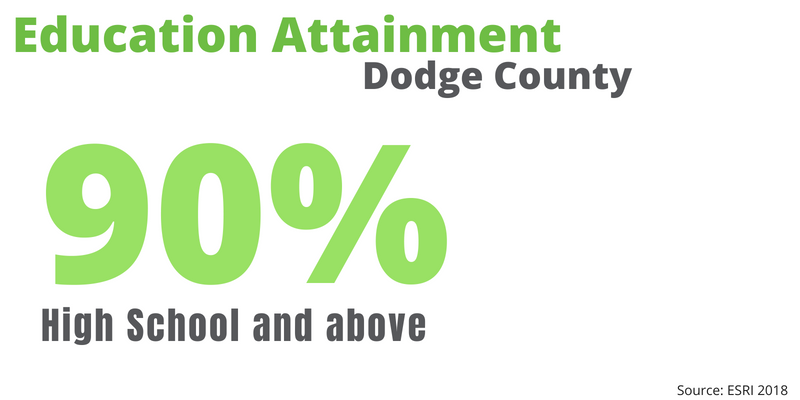 A solid K-12 education is a vital foundation for a skilled, competent workforce. 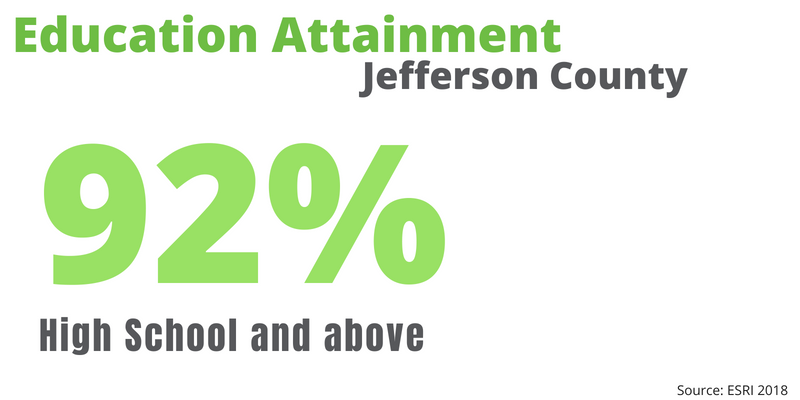 Both Jefferson and Dodge county public school districts had an average score that exceeded the state average for post-secondary readiness. 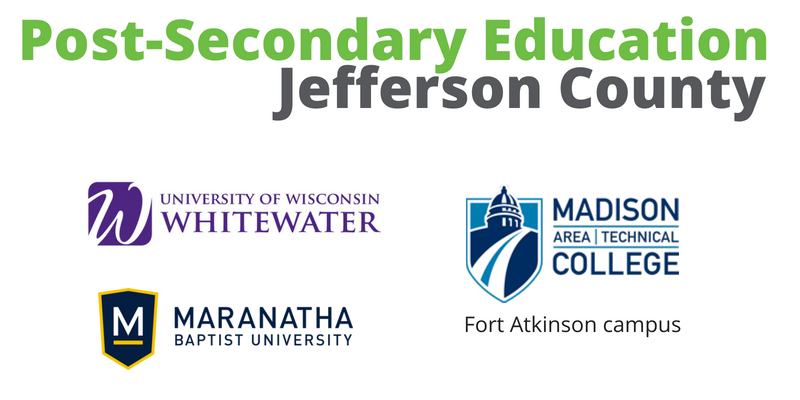 In addition to high quality K-12 education, Jefferson and Dodge counties are home to several post-secondary educational institutions. 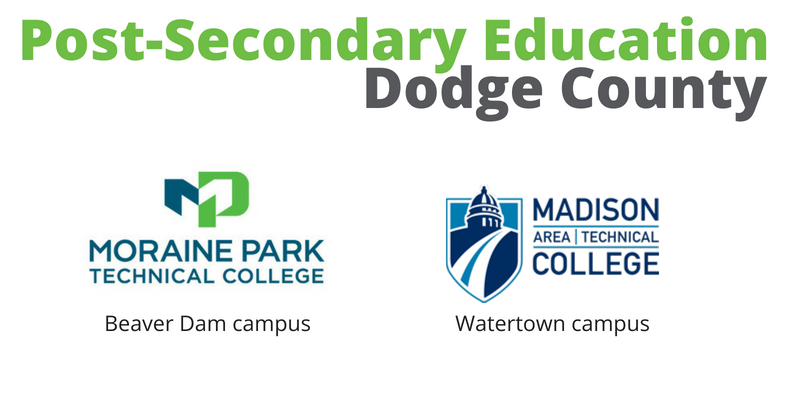 Madison College, with campuses in Fort Atkinson and Watertown, and Moraine Park Technical College, with a campus in Beaver Dam, offer associate degrees, technical diplomas and certificates in a wide range of fields, including manufacturing and agribusiness/agriculture, two of the region’s key industries and employers. 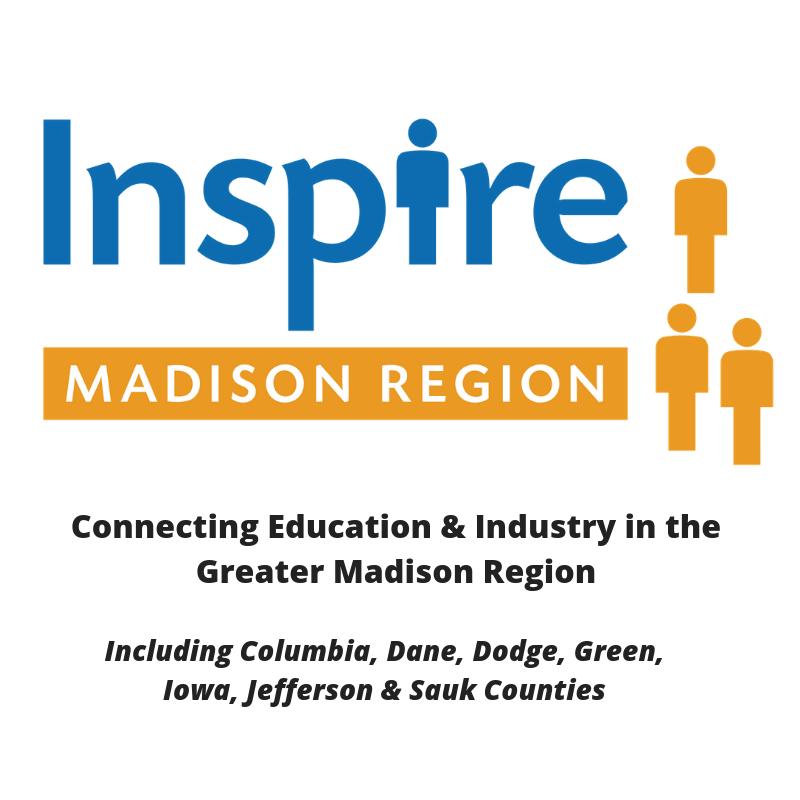 The University of Wisconsin-Whitewater campus is partially located within Jefferson County, and provides outstanding education and business growth opportunities and services. Maranatha Baptist University, located in Watertown, offers 31 majors, 35 minors and 8 associates programs. In addition, there are seven other colleges and universities within a 50 mile radius, including the University of Wisconsin-Madison.